For anyone looking for a special apple cider vinegar! 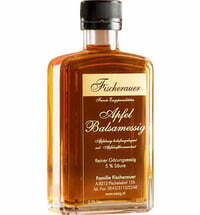 An aromatic, elegant, fruity experience, this vinegar is made from freshly squeezed Braeburn, Jonagold and Idared apples. Enjoy the flavor as well as the valuable ingredients.